By harrisonca on August 30th, 2009 . Filed under: Artwork, Tattoos . 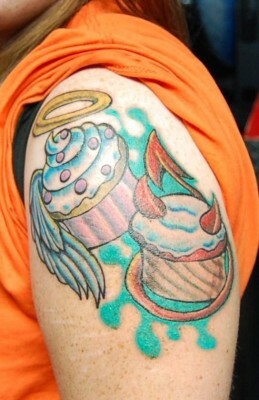 Innovative and bold cupcake tattoos sent in by our dear readers. 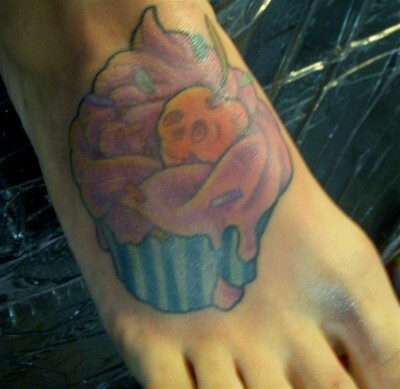 Some people choose to hide small cupcakes on their bodies, and others display their love and interests for all to see. tattoo by ryan at holdfast, perth,australia. i got these done at a different image tattoo in midwest city, oklahoma by frank. he is an amazing artist and he is going to do my sleeve of cupcakes. Hello! My name is Amanda and I’m from South Jersey. 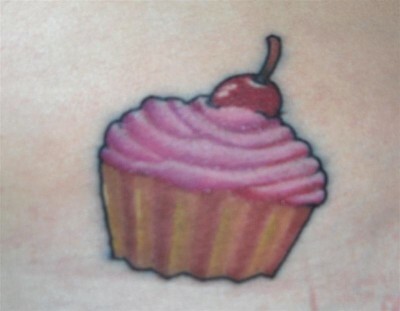 I’m starting Pastry School in a few days, so yesterday I decided to get a cupcake tattoo on my hip. It is my first tattoo (since I just turned 18 in may) and probably my last, but I love it! I came across this website looking for ideas, so I figured I’d send mine in now that it’s finished. Thanks for the inspiration!